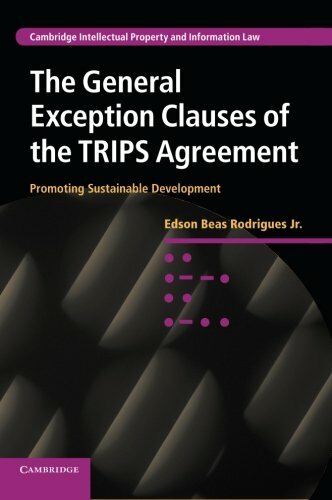 Results for Edson Beas Rodrigues, Jr.
9781107017481 | Cambridge Univ Pr, April 16, 2012, cover price $144.99 | About this edition: The general exception clauses of the TRIPS Agreement of the World Trade Organization permit exceptions to copyrights and to the rights conferred by trademarks, industrial designs and patents. 9781107536166 | Cambridge Univ Pr, July 9, 2015, cover price $39.99 | About this edition: The general exception clauses of the TRIPS Agreement of the World Trade Organization permit exceptions to copyrights and to the rights conferred by trademarks, industrial designs and patents. 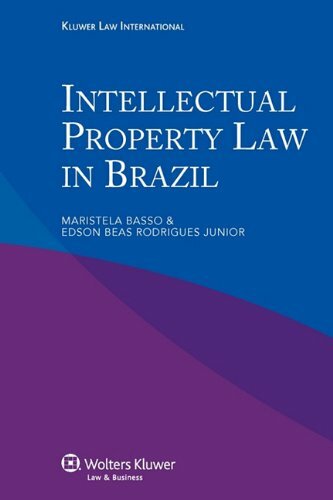 By Maristela Basso and Edson Beas Rodrigues, Jr.
9789041133786 | Kluwer Law Intl, August 9, 2010, cover price $92.00 | About this edition: Derived from the renowned multi-volume International Encyclopaedia of Laws, this monograph provides a survey and analysis of the rules concerning intellectual property rights in Brazil.